Japanese-British novelist and screenwriter Kazuo Ishiguro has won the 2017 Nobel Prize in Literature. 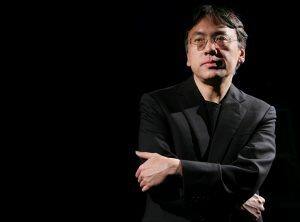 Ishiguro is best known for his novel “The Remains of the Day,” which was awarded The Man Booker Prize for fiction in 1989. The novel follows an obedient butler serving a lord in pre-World War II England. It was turned into an eight-time Academy-Award nominated film in 1993. The novel deals with a number of literary themes, including self-deception–a recurring subject in Ishiguro’s works. Ishiguro has written eight books, the most recent of which, “The Buried Giant”, was released in 2015. He is also the author of a number of screenplays and short stories. His work has been translated into over 40 languages. “I just hope that my receiving this huge honour will, even in a small way, encourage the forces for goodwill and peace at this time,” he added. Ishiguro was born in Japan and moved to England when he was five. His first two novels, “A Pale View of Hills” and “An Artist of the Floating World” are set in Nagasaki after World War II.